In November, 1864, Several thousand Kiowa and Comanche warriors attacked Kit Carson and some soldiers stationed at Adobe Walls, a trading post on the Canadian River. Carson and his men, armed with howitzers, were able to fight off the warriors. The Adobe Walls Fort was re-established by buffalo hunters in the 1870s. The second battle of Adobe Walls took place on 27th June 1874 when a combined force of Cheyenne, Kiowa and Comanchewarriors led by Quanah and Satanta. The defenders, including Bat Masterson, were well armed and were able to hold off the warriors. After suffering heavy casualties the warriors abandoned the attack. Three hunters were killed in the battle. Satanta was captured in October, 1874. Unwilling to spend the rest of his life in prison, Satanta killed himself on 11th October, 1878, by diving headlong from a high window of the prison hospital. The Indians of the Southwest, who had been accustomed to roam at will over Texas, New Mexico, Colorado, Kansas, and Indian Territory, were gathered at this great council. 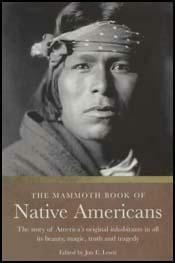 Their grievances, their woes, their condition, and final destruction were portrayed with vivid native eloquence. Their savage natures were aroused to the most intense ferocity. There was but one sentiment, and that was revenge and relentless war upon the white race. The unanimous resolve of the warriors of the different tribes was the formation of a great war party to attack and destroy the buffalo-hunters who were occupying a stockade at Adobe Walls on the Canadian River in the Panhandle of Texas. This resulted in a severe fight between the resolute, self-reliant white man and the savage, similar to those in the days of Daniel Boone on the "dark and bloody ground" of Kentucky. These hunters were accustomed to go out along the Canadian River region, get on the leeward side of a herd of buffalo, and at a distance where the crack of their rifles would not be heard fire with great accuracy and deadly effect until the herd of forty, sixty, and sometimes one hundred and forty buffalo would lie dead upon the plain. Fortunately the Indian attack upon the hunters occurred on Sunday when they were all gathered together. The Indians displayed the greatest courage, some of them dashing up to the very gates of the stockade and trying to beat them down with their spears and tomahawks while their comrades kept up a sharp fire with their rifles. Their assault was repulsed with severe loss, a large number were killed and many wounded, and the troops were called upon to suppress the Indian hostilities.